Medicated spray with Chlorhexidine Gluconate. Medicated spray with Chlorhexidine Gluconate. 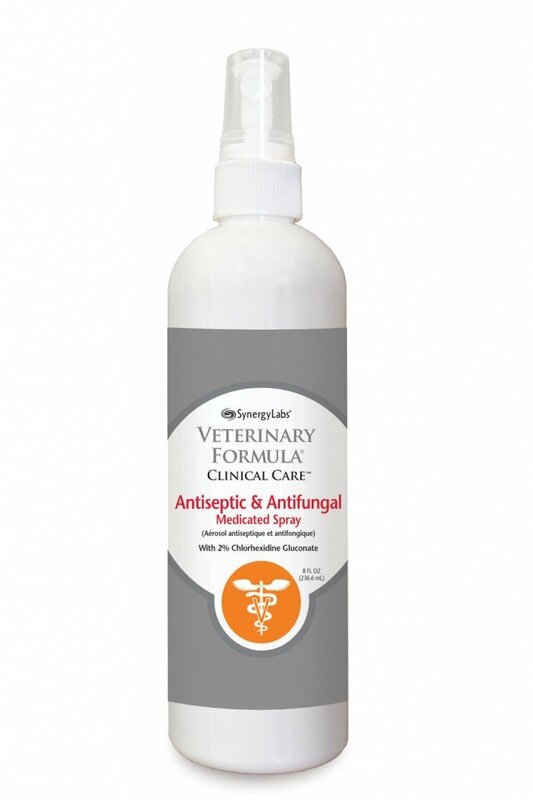 With Lanolin and Aloe Vera to help heal and soothe. Deodorizes and helps relive fungal and bacterial skin infections such as dermatitis & pryoderma which can result from the following: allergies (flea, food, contact, hereditary), hormonal disorders such as hypothyroidism, weakened immune system, animals with short coats or skin folds, trauma from grooming and scratching, fungal infections such as ringworm.